We are back with another one of our popular ‘As the Expert’ posts. This month we chat to UTC Events director Adam Birkett, about all things dance floor and music. Tell us about Under The Covers Band? Under the Covers was started from the confines of my room back in 2007. Over the years it’s grown to the point where we now play around one hundred and fifty weddings every year. Can you do different sizes of band? 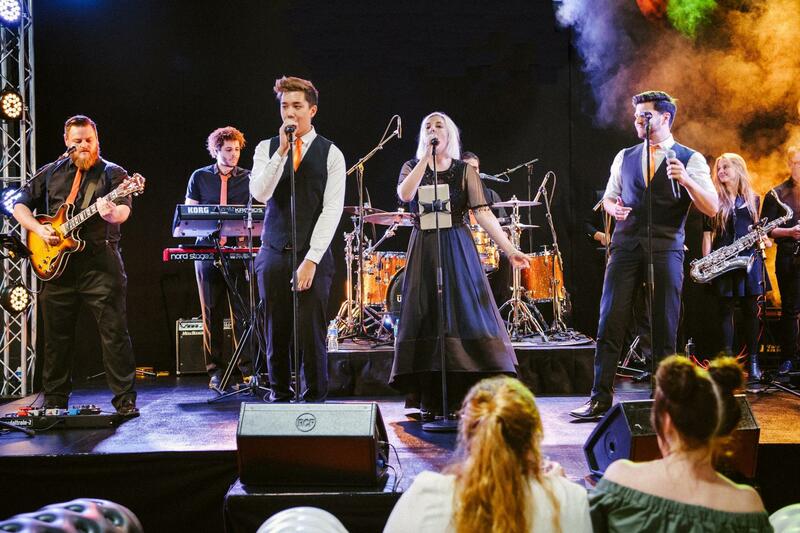 We offer everything from a 4-piece band, with a simple vocal, guitar, bass and drums set up, to a 12-piece mini rock-orchestra, including multiple vocalists, brass instruments, guitars and percussion. It really depends on what works best for the couple, the number of guests they’re expecting and the type of music they like. Our most requested band size is a 7-piece to which include keys, two vocalists and a saxophone, which is super popular these days! There are a lot of great bands around, how do you stand out from your competitors? 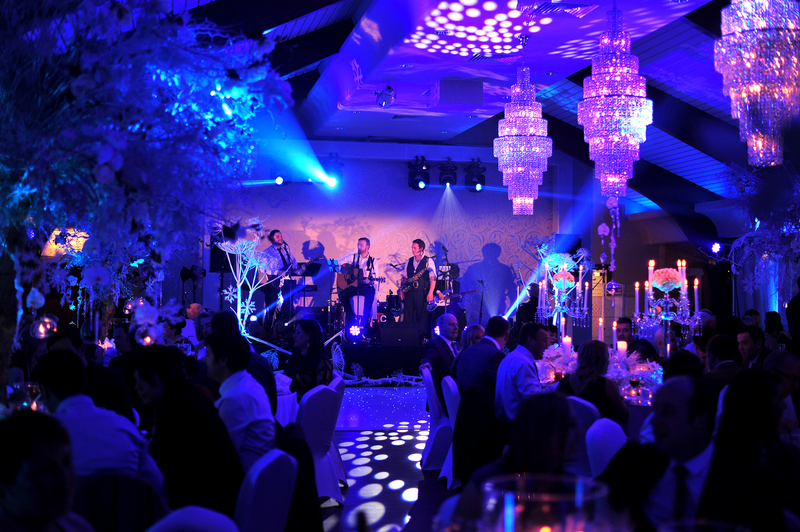 As well as the incredible musicians in the band, we’re managed by UTC Events who are involved in close to 20% of weddings in the northwest of England every year, so from enquiry to the big day, they’re in contact, making sure everything is on track. 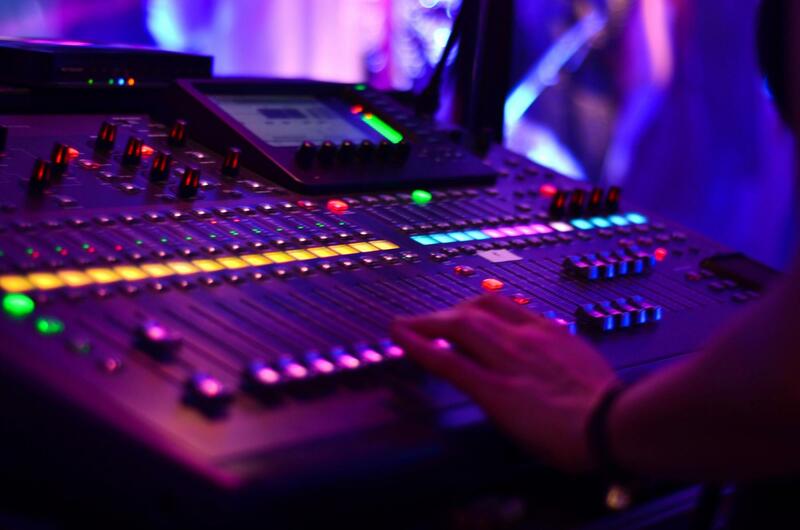 An on-site technician is also supplied for every show to give couples a clear point of contact, keeps things tidy and running smoothly and provides a live mix, to make sure the band sounds as good as it can. Can couples see you play live? We tend to play only private bookings, but it’s always worth asking. Our clients, whether they be private or corporate, are usually happy to share the night with prospective couples. How do you get that dance floor full? Every event is different, so there isn’t a clear formula, but it usually starts with the set list. We ask all of our couples to choose 10-20 songs from our songlist, filling in the remainder of the set with songs we think will work best alongside those choices. On the night it’s all about giving as much energy as possible. Getting the guests involved, is usually a sure-fire winner. Breaking the fourth wall can be a real surprise, but once you’ve got one, you get ‘em all! Do you provide PA and lighting? Absolutely. 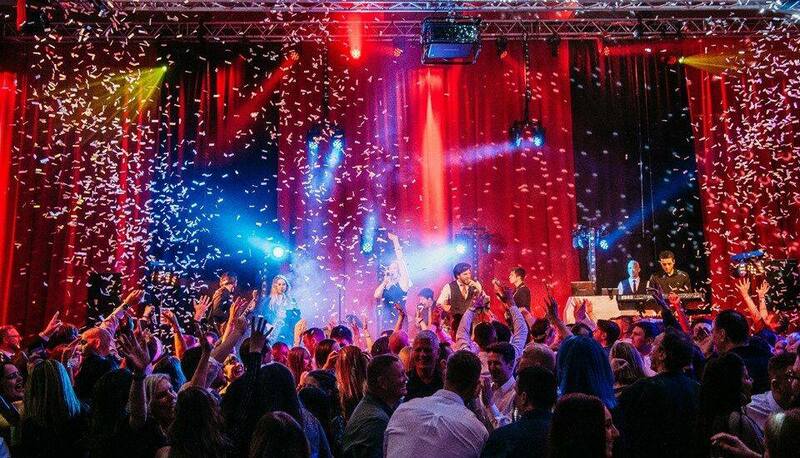 Our PA is of the highest industry quality, to make sure our couples get the best possible sound on the night. We also include performance area LED lighting as standard, with upgrades also available. All our band packages include a playlist service run by the technician; using a playlist created by the couple prior to the wedding. A live DJ can be added at an extra cost. Do you offer any other music services? We can supply soloists, duos, trios or quartets during the ceremony, drinks reception or wedding breakfast. Following the band, we can supply DJ with live instruments ie. 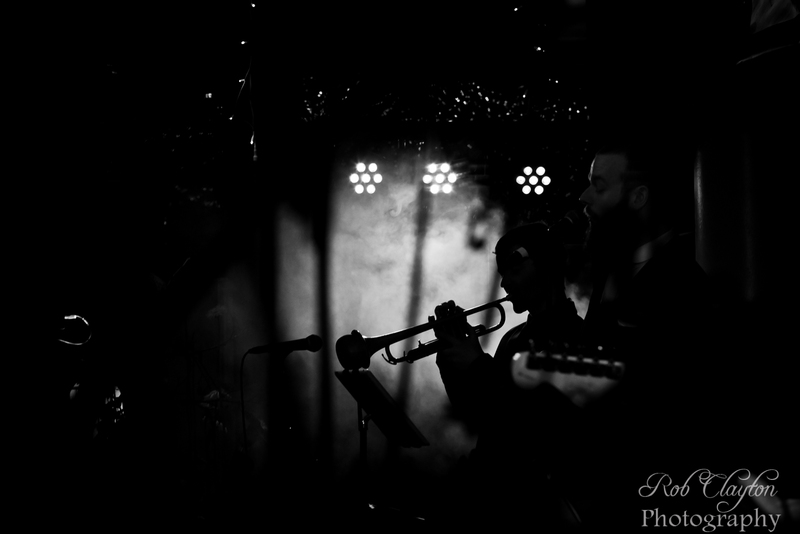 sax, percussion and vocalists. 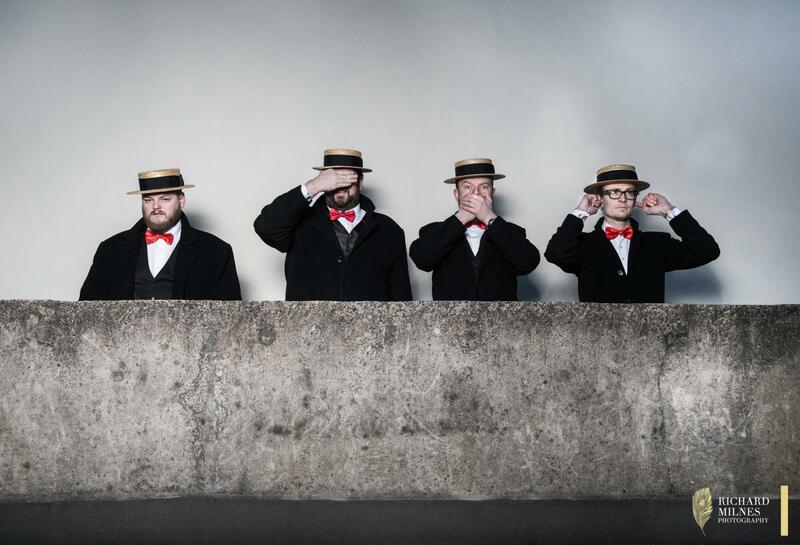 As part of UTC Events, they have an array of other acts to compliment the day too – Afternoon Delight Barbershop Quartet or The Roaming Empire are particular favourites. What should a couple look for when selecting a band? Look at their material, research how often they play and what’s included in their price. Find someone who has a track record of giving people an incredible time and who can see through their commitment. Weddings are such a massive event for everyone, be sure it’s going to be amazing! When should they book a band? The earlier the better, though the nature of Under the Covers means 99% of the time we will be able to get you a great band, whether it be two years or two weeks prior to your wedding.